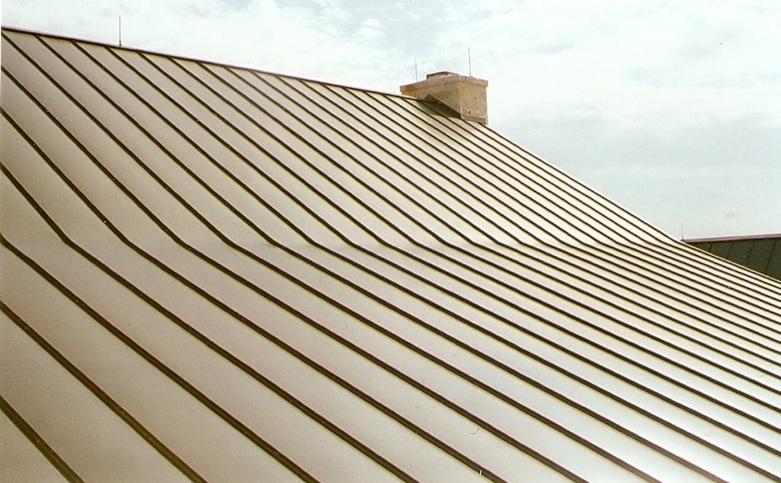 The Metal Construction Association (MCA) Has Released New Research Findings That Conclude That Certain Metal Roof Systems Can Last At Least 60 Years, Meaning They Do Not Require Replacement During A Commerical Building's Service Life. This Study Is A Breakthrough For The Metal Construction Industry Because It Finally Provides Third-Party, Scientific Data That Backs Up The Long Held Stance That 55% Al-Zn Coated Steel Standing Seam Roofing Systems Are Very Durable, Economic And Can Be Better For The Environment, " Said Scott Kriner, Technical Director, MCA. Most Non-Metal Roofing Systems Require One Or More Full Replacements Within A Typical Building's 60-Year Service Life, Which Is Costly And Often Adds To The Solid Waste Stream In Landfills. The Study, Sponsored By MCA And The ZAC Association, Was Conducted With Oversight Of Three Independent Consulting Firms Which Analyzed Low-Slope, Unpainted 55% Al-Zn Coated Steel Standing Seam Roofing, In A Wide Range Of Environments Across The United States. This Type Of Roof Material Is Known By Many Trade Names Throughout The World, Principally GALVALUME And Zincalume In The United States. It Is Very Common On Low Rise Commerical Buildings Such As Warehouses, Schools, Distribution Centers, Shopping Centers, Exposition Halls And Other Facilities.